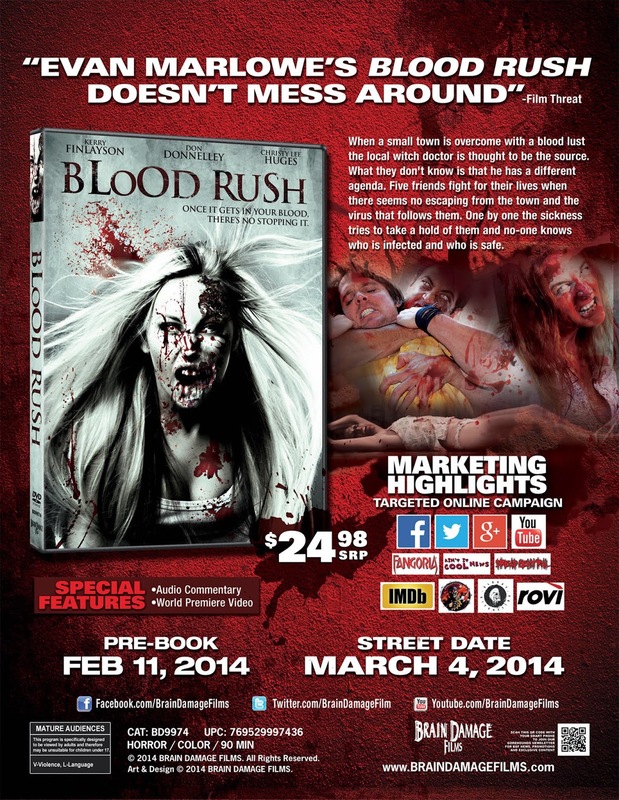 Director Evan Marlow, working with a script provided by his wife, Kerry Finlayson (who also stars), has delivered a tasty horror treat that is titled Blood Rush. The film will be making its domestic DVD debut courtesy of Brain Damage Films on Mar. 4. Not only did Finlayson write this genre-fan gem, she plays the role of Kara, the heroine of the piece, and that of her sister Emma, who is not so much evil, but really ticked off over her philandering husband’s latest sexual adventures. But sibling rivalry is the least of Kara and Emma’s problems these days. 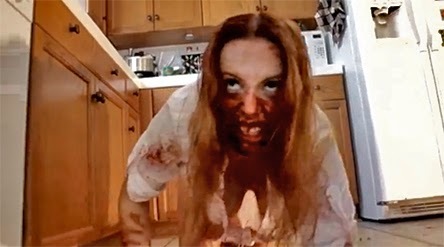 There’s a virus running loose in a small rural town and those infected turn into flesh-munching zombies. However, as viewers we only get the story through flashbacks and cross-cuts to the local town council, who seem to be simpletons and dangerously unaware of the devastation — and bloodlust — that is swirling around them. Throw in a witch doctor (a voodoo practitioner? … who knows), some damn good zombie bludgeoning sequences and the isolation and confusion of not knowing what is going on and you have all the elements of a superb indie horror flick. In the end, you can run, you can even hide, but don’t expect your friends to help you … they can only eat you! Bonus features for Blood Rush include filmmaker commentary. Film Chest has tabbed Mar. 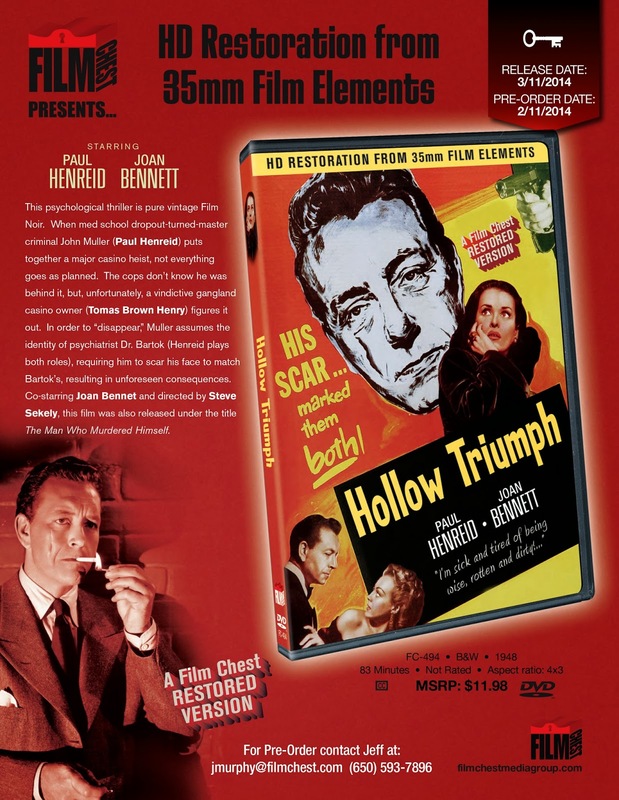 11 as the DVD release date for a newly restored edition (from original 35mm film elements) of director Steve Sekely’s 1948 film noir treasure, Hollow Triumph. 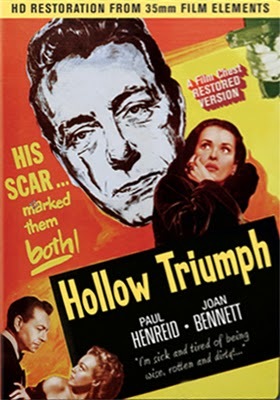 Working with a script from Oscar-winner Daniel Fuchs (Criss Cross, Panic in the Streets and an Oscar-win for Love Me or Leave Me), we meet ex-con John Muller (Paul Henreid), a crafty and intelligent gang leader — he could have been a successful doctor — whose first “big job” after being paroled goes horribly wrong. He goes on the lamb and decides to go ahead and take the low-paying job that was waiting for him when he left prison. Muller figures that it will be the perfect opportunity to hide in plain sight until the heat from the botched (and deadly) casino robbery blows over. He’s nothing but an “office boy” and soon grows tired of his cover and begins to make plans to assume another man’s identity … complete with office, lucrative practice and attractive secretary (Joan Bennett) in the same office building where he works. In a terrific twist — that pays off at the end of the film — through a series of events he assumes the identity of an important look-alike psychoanalyst by the name of Dr. Bartok. Not only does he kill the doctor, he also scars his face to look like the dead man. He literally becomes the man … and ends up paying for “his” transgressions! A terrific film noir. Paramount Home Media will have laughs aplenty on Apr. 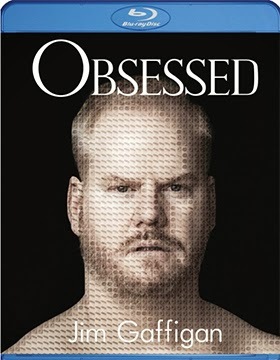 29 with Blu-ray and DVD editions of Jim Gaffigan’s latest Comedy Central stand-up special, Jim Gaffigan: Obsessed. With nationwide tours, comedy specials, television series, theatrical appearances and even a success book (published last year), Jim Gaffigan is always on the go … and has plenty of material from his travels to showcase for his fans in this 60-minute live stand-up special. Also heading home on Apr. 29 is the six-disc DVD collection of Dynasty: The Eighth Season as well as the latest collection of SpongeBob SquarePants animated adventures in SpongeBob SquarePants: You're Fired. The following week, May 6, they say that all good things must come to an end. That’s what Shirley Feeney and Laverne De Fazio are faced with in the three-disc DVD release of Laverne and Shirley: The Eighth and Final Season. Shirley gets married and becomes Mrs. Shirley Feeney-Meany and has some amazing (and surprising) news to share with her friend … a bittersweet wrap-up of a fan-favorite sitcom that ran for an amazing 178 episodes! 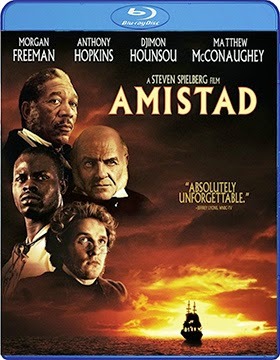 Also on the May 6 release calendar are Blu-ray debut for two of director Steven Spielberg’s films — the 1997 release teaming Anthony Hopkins with Matthew McConaughey in the courtroom drama Amistad and the 2004 comedy starring Tom Hanks and a man without a country in The Terminal. It will be a kidvid bonanza from Mill Creek Entertainment on Mar. 18 with news this past week that eight priced-to-own SKUs will be ready for the little ones to enjoy. Priced at just $12.98 each are four separate three-disc collections that feature six hours or more of animated adventures. 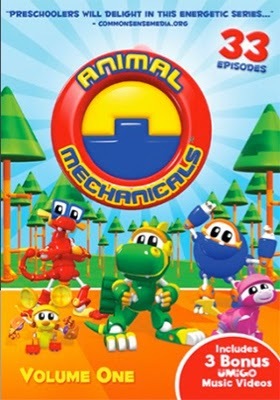 Animal Mechanicals, Volume One offers 33 animated episodes starring an unlikely mix of super heroes — there’s Rex (a dinosaur), Unicorn, Komodo (a Komodo Dragon), Sasquatch (yup, a blue furry creature with the ability to stretch and stretch and stretch his arms) and Mouse (small, but speedy and equipped with wheels). They get their assignments in each episode from Island Owl. Bo and her dragon friend, Dezzy, go on “quests” given to them by Wizard in 26 fun-filled animated adventures in the collection titled Bo on the Go, Volume One — challenges and obstacles must be overcome in each episode and the young viewers are encouraged to help them along the way! 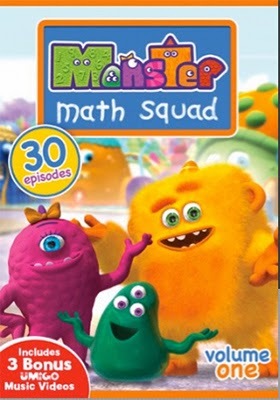 If it involves counting, measuring, sizing, sorting (all kinds of things like shapes and patterns) and learning how to tell time, then the young ones will want to join in with Max, Lily and Goo in the 30 animated episodes of Monster Math Squad. Lastly, among the three-disc collections is Dennis the Menace: Volume One, featuring eight hours of fun, laughs and good times (33 episodes) featuring Dennis and his dog Ruff, plus his neighborhood pals, Joey, Margaret, Gina, Tommy, PeeBee and Jay as they match wits with Mr. Wilson. On the single-disc front — priced at just $9.98 each — are four Baby First collections. These are: Baby First: Baby Class - Little Lessons, Baby First: Happy Learning with Harry the Bunny, Baby First: Sweet Dreams - Time for Sleepybye and Baby First: The Best of Baby First, Volume 2 - Learning Launchpad. For more information on these Mar. 18 product offerings (and other priced-to-own collections from Mill Creek Entertainment), please visit their website at http://www.millcreekent.com. There is a point in director Akira Kurosawa’s Oscar-winning Dersu Uzala where you realize that he has taken his camera, his cast and his crew to a place that is so remote that if you step one foot in any direction you would be heading back to civilization. Do people really exist out there, in Siberia, or was Kurosawa simply telling us a story and this godforsaken place just happened to be the location he selected to shoot his film? The answer to that question is: YES. Yes, people do live (or, is it exist?) 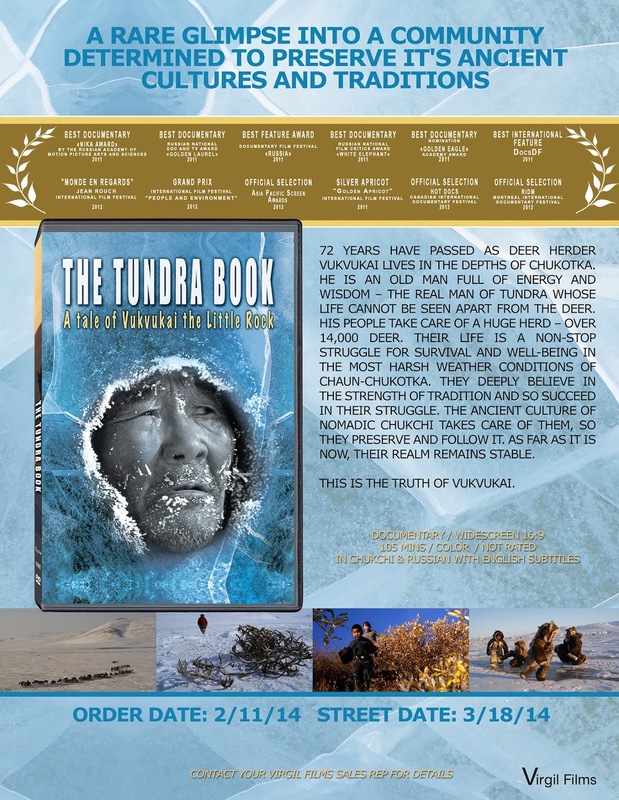 out there and Russian documentary filmmaker Aleksei Vakhrushev took two years out of his life to film the existence of Vukvukai and his remote community in the documentary titled The Tundra Book: A Tale of Vukvukai, the Little Rock. 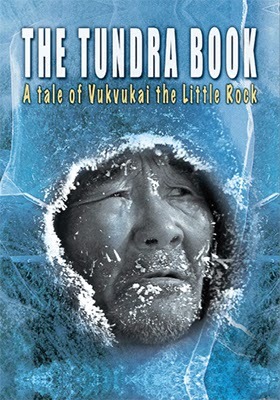 Vukvukai, the tribal elder and herdsman, could be a character right out of Kurosawa’s Dersu Uzala … he lives in a place on earth where time has literally stood still. Survival is everything … Vakhrushev’s insightful look at this truly alien world will be available on DVD from Virgil Films & Entertainment on Mar. 18. The surprise cable crime/action series, Longmire, starring Aussie Robert Taylor (The Matrix, Vertical Limit, etc.) 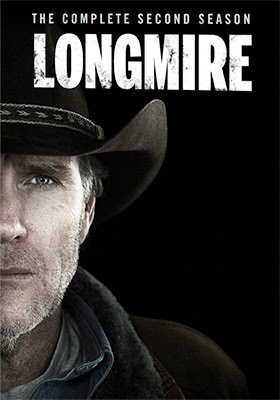 as a Wyoming sheriff, will return to the home entertainment market place courtesy of Warner Home Video as a three-disc, 13-episode collection titled Longmire: The Complete Second Season on May 13. Lou Diamond Phillips, Katee Sackhoff and Cassidy Freeman co-star … bonus features include the featurette titled “Testing Courage: The Storm Defines the Man” and a special “director’s cut” for one of the season two episodes. Also added to the release calendar this week were DVD and Blu-ray editions of Nikita: The Complete Fourth Season & Final Season … the street date for this six-episode finale will be Apr. 22. Femme fatale Diana Dors — Brit cinema’s answer to the likes of Marilyn Monroe and Jayne Mansfield — co-stars with George Brent and Marguerite Chapman in director Terence Fisher’s 1952 Hammer Film Production nourish crime drama, Man Bait. This wicked film gem will be heading home on DVD from VCI Entertainment on Apr. 15. Another blonde bombshell getting a DVD look-see on Apr. 15 is Barbara Payton, whose stormy career came to a crashing end with her death at just 36 years of age (an adult life that featured four marriages and numerous alcohol-fueled affairs along the way). Near the end of her short, but interesting career, came director Reginald Le Borg’s 1953 film adaptation of Max Catto’s pulp fiction novel, Bad Blonde. 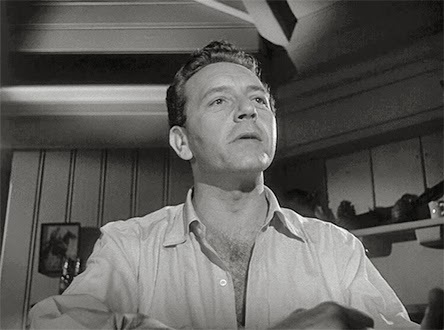 In this film noir a green-behind-the-ears sailor (played by Tony Wright) joins a shady prize-fighting ring with an unlikely entry into the “business” … he soon finds himself way in over his head when seductress Lorna (Payton), the trophy wife of the fight ring’s kingpin, wants her husband dead and he’s just the boy-toy to do it! Brian May of Queen has been performing with musical stage vocalist Kerry Ellis for over a decade and the pairing has led to a solo album (produced by May) in 2010, which included a promotional tour with Brian May. The teaming of these two talented and very different performers has progressed — through special appearances, etc. — to the point where the two released a live album this past June title Acoustic by Candlelight. On Apr. 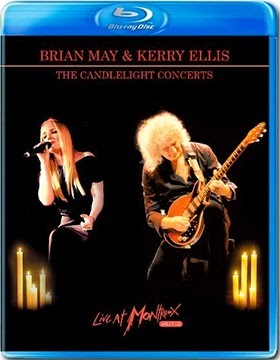 1 be on the lookout for Eagle Rock Entertainment’s DVD/CD and Blu-ray/CD Combo Pack editions of Brian May and Kerry Ellis: The Candlelight Concerts – Live at Montreux 2013. As a bonus, Eagle Rock Entertainment is including the CD of Acoustic by Candlelight with both the DVD and Blu-ray SKUs. 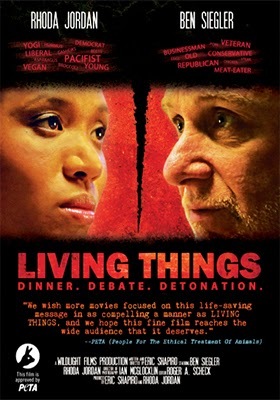 Not since Wallace Shawn set down at the table across from Andre Gregory in director Louis Malle’s 1981 film, My Dinner With Andre, has there been a cinematic meal quite like that of writer/director Eric Shapiro’s latest film, Living Things. While Wallace Shawn and Andre Gregory covered a wide spectrum of eclectic subjects over a pleasant meal, the dinner that Rhona (Rhoda Jordan — Rule of 3, Galaxy Hunter, etc.) and Leo (Ben Siegler — Big Brother Jake, Fallen, S.W.A.T., etc.) sit down to focuses like a laser on life styles, eating habits and animal cruelty. It is a verbal battle … a war of ideas! Rhona and her father-in-law end up alone at dinner one evening, it wasn’t planned that way, but there you have it. She’s a vegan and a yoga instructor, while Leo is a meat-eating combat veteran — oil and water, Venus and Mars, black and white … you get the picture. These two polar opposites, who begin with a discussion of her diet, quickly expand the “debate” into the equivalent of verbal fisticuffs as they wade into the treatment of animals, health issues and even the environment will all become fair game before dessert is served! Cinema Libre has tabbed Apr. 15 as the DVD debut date for this incendiary film, which has been endorsed by PETA. 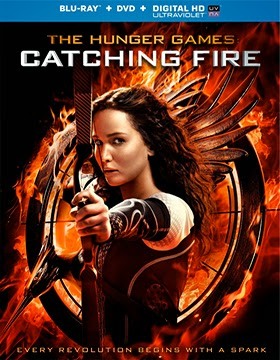 Lionsgate Home Entertainment has director Francis Lawrence’s mega hit sequel, The Hunger Games: Catching Fire, lined up for DVD and Blu-ray/DVD Combo Pack action (both SKUs featuring UltraViolet) on Friday the 7th of March. That’s right, a Friday street date — when your film takes in $420 million you can pick any day of the week that pleases you and the fans will be there to snap it up. The ARR is 105 days. 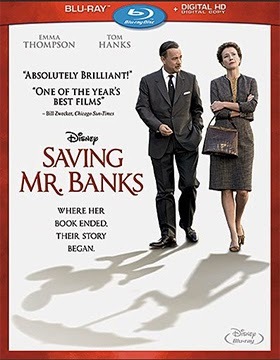 With little fanfare Walt Disney Studios Home Entertainment will send home Blu-ray and DVD editions of Saving Mr. Banks on Mar. 18. Theatrical revenues were $79.2 million and the ARR is a swift-to-market 95 days. The PR people are mums the word on bonus features that might be included on either of the two SKUs … that’s about par for the course these days. Let the horror begin. Let the blood flow and the body count mount! The Lake View Retirement Home is being savaged by a maniacal killer, complete with a kitty cat mask, who is stalking the old folks and knocking them off one by one ... by one! Yes, let the laughs cut loose (oops) on Mar. 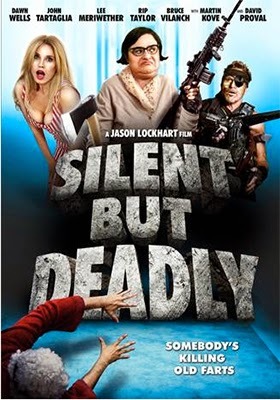 4 when Indican Pictures’ Silent But Deadly — that’s the title of writer/director Jason Lockhart’s award-winning horror comedy —makes its way to the DVD market place. Rose (Dawn Wells — as Mary Ann of Gilligan’s Island, plus such films as Return to Boggy Creek, The Town That Dreaded Sundown, etc.) is none too happy about being shuffled off to Lake View by her family. But settling into the routine of the place is the least of her worries when the odd ball residents of the place clue her in as to what is going on. Murder, most foul (oops)! There are plenty of suspects, ranging from the facilities goof-ball manager, Dale (John Tartaglia) to the custodian, Desperella (Muffy Bolding) and perhaps even one (or more) of the residents … but please, please, don’t let it be Kitty (Jacqui Holland), she’s the object of lust for every old codger at Lake View and they would gladly die (or kill) for a little one-on-one time with her. 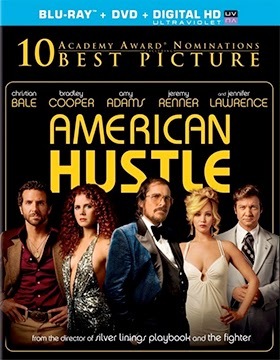 Director David O. Russell’s Best Picture contender, American Hustle, will be released by Sony Pictures Home Entertainment on Mar. 18 as both a stand-alone DVD product offering and as a Blu-ray/DVD Combo Pack (with UltraViolet). The box office take currently stands at $127 million (and growing) … the ARR for this mid-March street date is a swift-to-market 95 days. In addition to the Best Picture nomination, filmmaker David O. Russell is one of the five finalists in the Best Director category and he teams with Eric Singer for the Best Writing – Original Screenplay Oscar nomination as well … plus Christian Bale, Amy Adams, Bradley Cooper and Jennifer Lawrence all have acting nominations. Bonus features are limited to deleted scenes and a making-of featurette.